How Much Sugarpaste Do I Need? 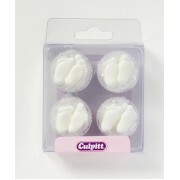 We love cupcake & cookie decorating and have a full range of edible cake decorations for you to choose from. 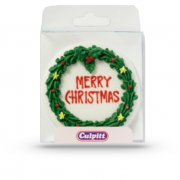 Our range of ready made edible cake decorations make cake decorating quick and easy. Our cake decorations include edible sugar flowers, sugar decorations, glitters, sprinkles and edible gems, sugar strands and dragees, chocolate decorations, sugar sheets and more. 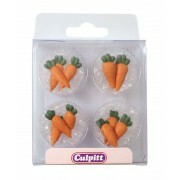 Our wide range of edible cake decorations are ideal for christening, birthday, cupcakes & cookies. Loving Everything To Do With Cake Decorations! 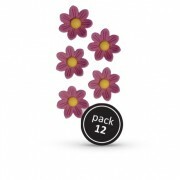 Lilac Daisies - Pack Of 12. 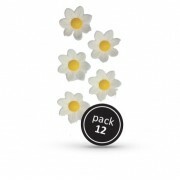 Looking for something different then these sugar Daisies will add a touc..
White Daisies - Pack Of 12. Looking for something different then these sugar Daisies will add a touc.. 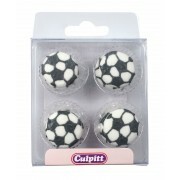 The delightful Football Sugar cake decorations are individually hand piped using royal icing. They m.. 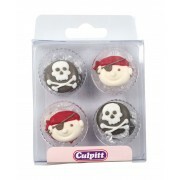 The delightful Pirates Sugar Piping cake decorations are individually hand piped using royal icing. .. 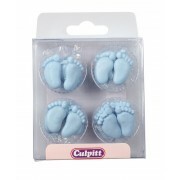 The delightful Blue Pairs of Feet Sugar Pipings cake decorations are individually hand piped using r.. 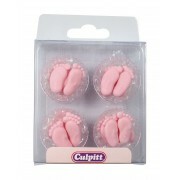 These delightful Pink Pairs of Feet Sugar Piping decorations are individually hand piped using royal.. The delightful White Pairs of Feet Sugar Pipings cake decorations are individually hand made. They m.. 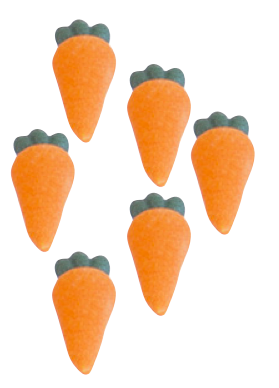 The delightful carrot Sugar cake decorations are individually hand piped using royal icing. The.. 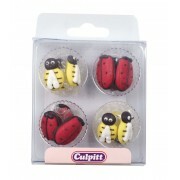 The delightful Bee and Ladybird Sugar Pipings cake decorations are individually hand piped using roy.. 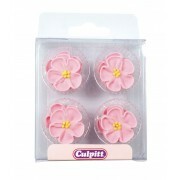 These delightful Pink Rose Sugar Decorations are individually hand piped using royal icing. They mak.. 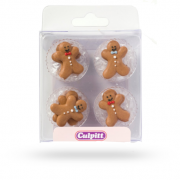 Gingerbread Man Sugar Pipings - 12 piece 25mm. 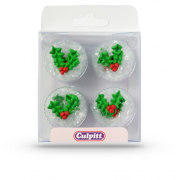 Jazz up your Christmas cupcakes with these adorable S..
Holly & Berry Man Sugar Pipings - 12 piece 25mm. 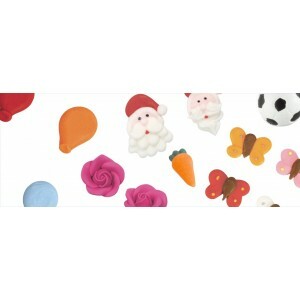 Jazz up your Christmas cupcakes with these ador..
Merry Christmas Sugar Plaque - 75mm. This beautiful hand-made decoration is made from royal icing..
Santa And Rudolph Sugar Pipings - 12 piece 25mm. 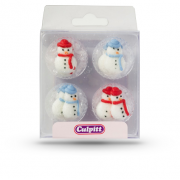 Jazz up your Christmas cupcakes with these adorable..
Snowman Man Sugar Pipings - 12 piece 25mm. 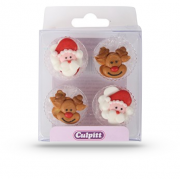 Jazz up your Christmas cupcakes with these adorable Santa.. The UK’s Leading Cake Supplies & Sugarcraft Company. Loving everything to do with cakes!